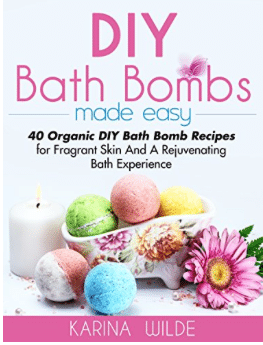 Amazon has the ebook DIY Bath Bombs Made Easy- 40 Organic DIY Bath Bomb Recipes available to read for FREE right now! Just go here to download it to your Kindle or Kindle app (free on any device) for no cost. Double check that the price shows $0 under the Kindle Price & click Buy Now with 1-Click. These bath bombs look like they would make nice homemade Christmas gifts! Read more books for FREE by signing up for a FREE 30-day trial of Kindle Unlimited here . Kindle Unlimited gives you the freedom to explore. Try new genres, discover new authors, and dive into new adventures with unlimited access to our wide and varied selection of books. From rhetoric to romance, or comedy to tragedy, you will find unlimited stories waiting to be discovered. Relive the classics you grew up with, start on that best seller you’ve been wanting to read or try one of the hundreds of thousands of books you won’t find anywhere. Find your next great read today.